Wow, this is truly beautiful, gorgeous colours and loving that lace! 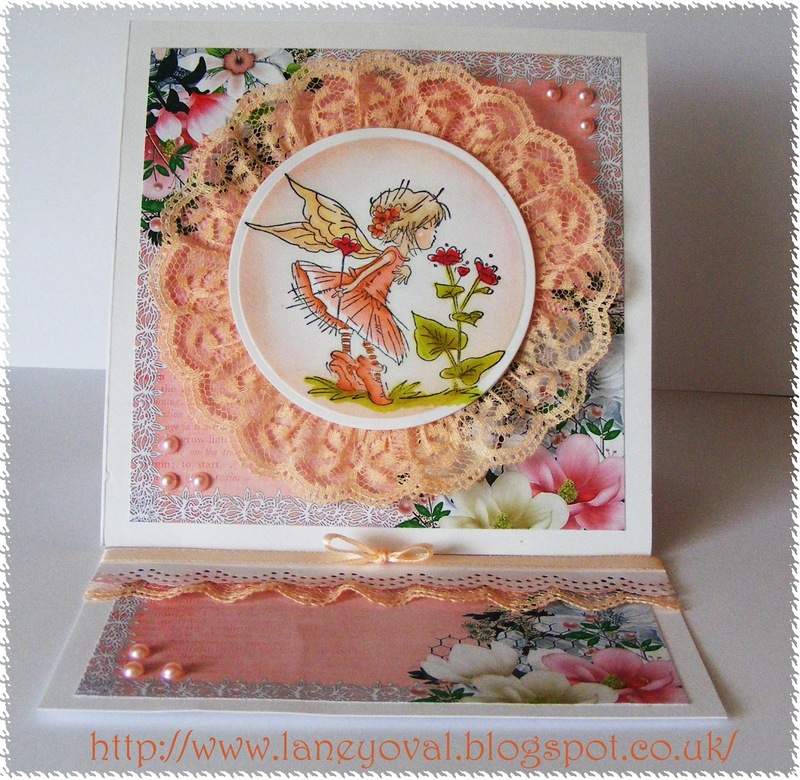 Stunning card Laney, the lace is so beautiful. Thanks for joining us at CRAFTY RIBBONS. 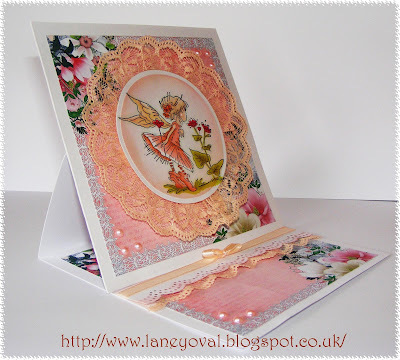 Beautiful card Laney. Love this LOTV image, it's definitely one of my faves. 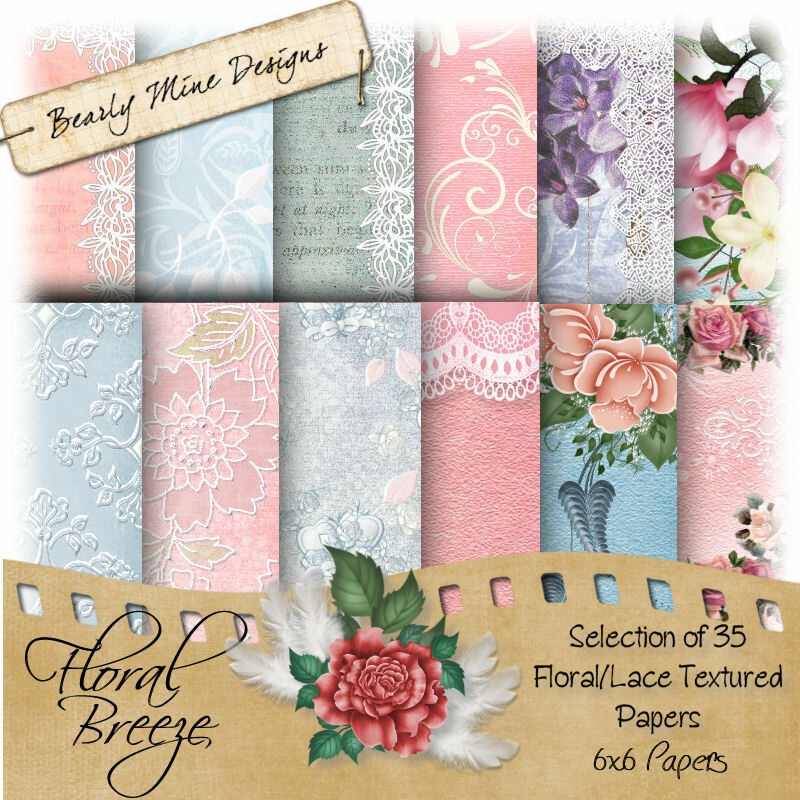 Gorgeous papers and I love the lacy doily. Wow, this is GORGEOUS! 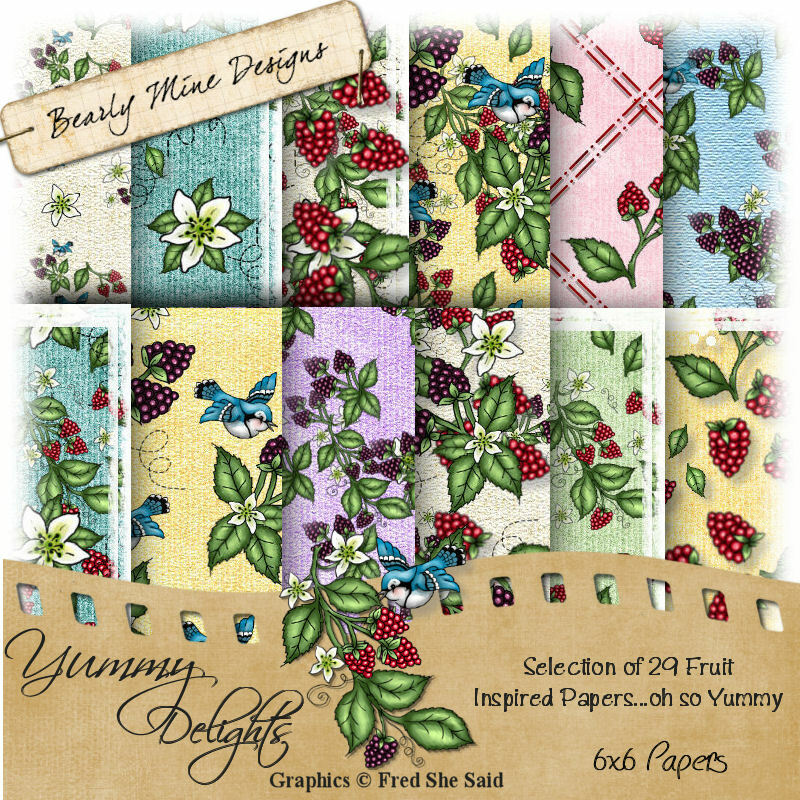 Love those digi papers, and how you've coloured that darling LOTV image! Thank you so much for joining us at Lili's Little Fairies! Your card is delightful, as are the pares you have used! Thanks for playing along at Crafty Ribbons this fortnight and welcome back for another challenge un Thursday! Stunning card and design Laney!! Thanks for sharing at I ♥ Promarkers and good luck!! Gorgeous card, fab image and yummy lace.Thanx for joining us at CRAFTY RIBBONS.